One Perennial to Rule Them All! Do you have a favourite plant? Something that you just couldn’t do without? 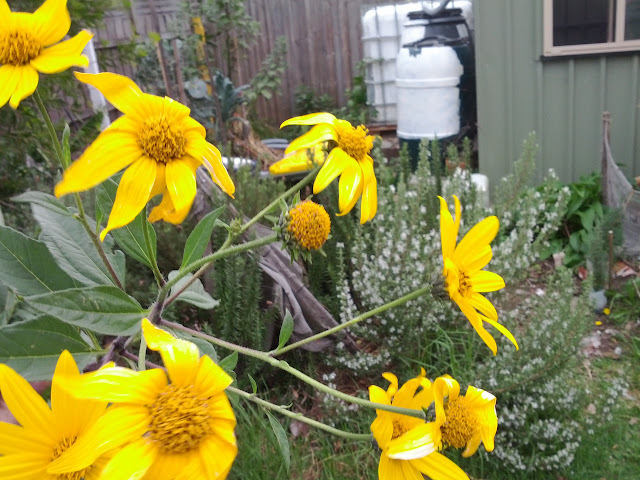 For me, that is the Jerusalem Artichoke. Those first shoots appear just after the thaw of Spring. 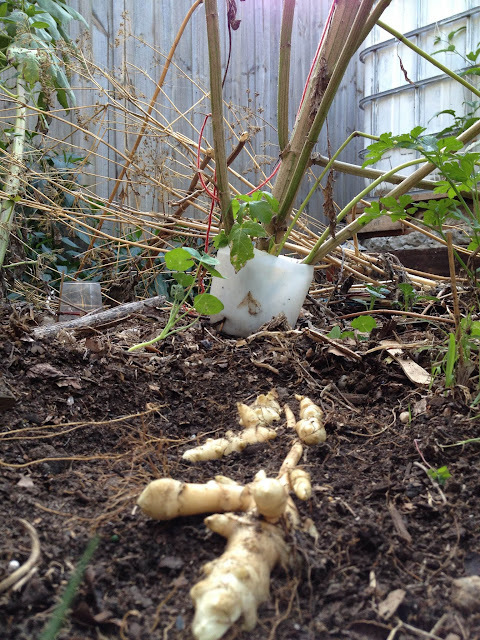 If you are in a hurry to see them, relax, any tubers left from last season will arrive in good time. Lush green plants soon develop from those tender shoots. And before too long you have a robust plant that acts as an effective wind break (has been used in this way for centuries). 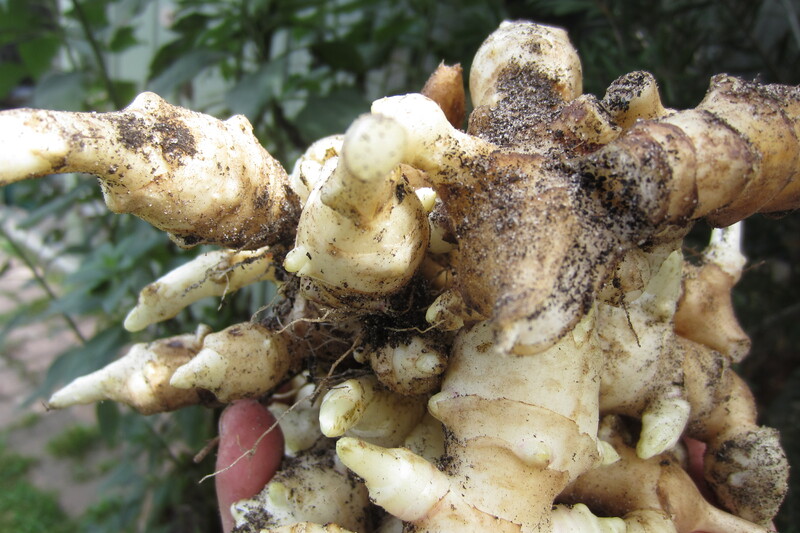 You can start to pull out the tubers once the flowers emerge, but they wont be at full size until the flowers wilt and the plant starts to die off. The petals are divine. Deep yellow, slightly perfumed, delicate, short lived. 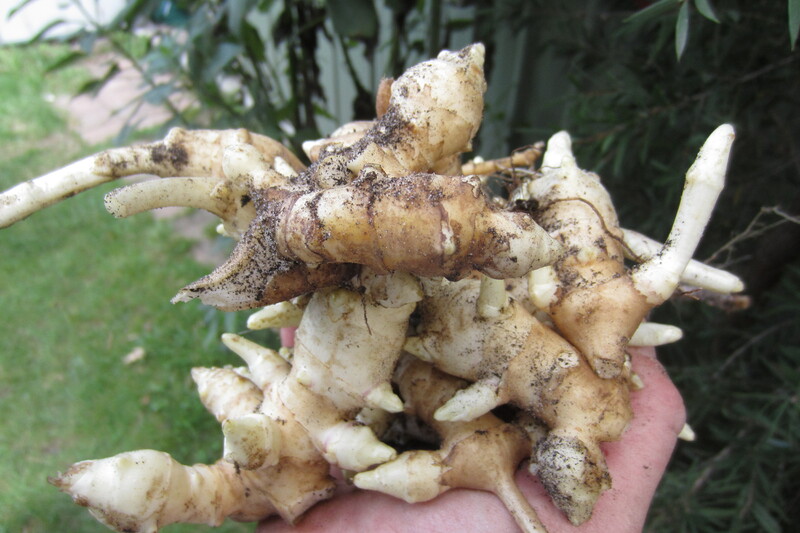 Get to the tubers by pulling the main stem right out of the ground – they will appear in and around the root ball. Watch out for any water logged pieces – remove as you see them. Throw back any pieces where you want them growing next season. 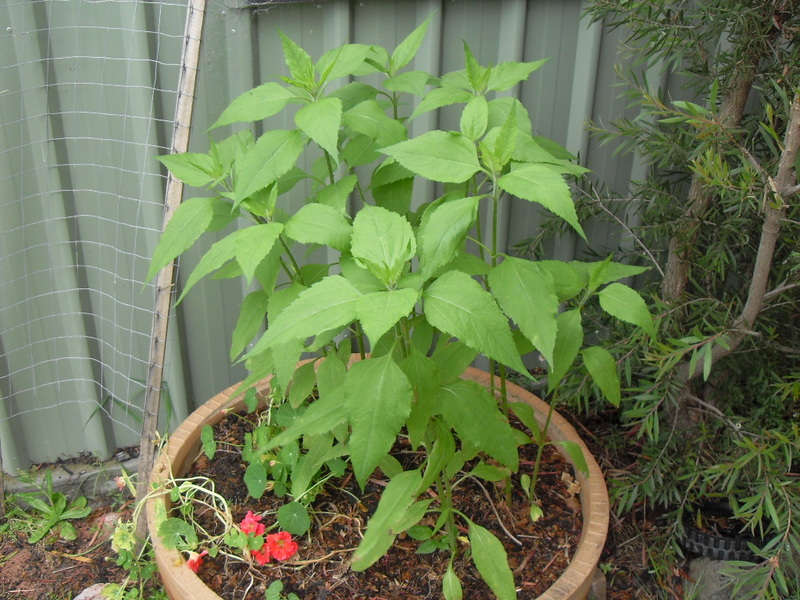 And this is how it does so well… Just look at where that cluster of tubers has reached relative to the plant. You only need to miss a small piece of the root to have it pop up again next season. Hope this is reason enough to give them a try – but don’t eat too many in one sitting! 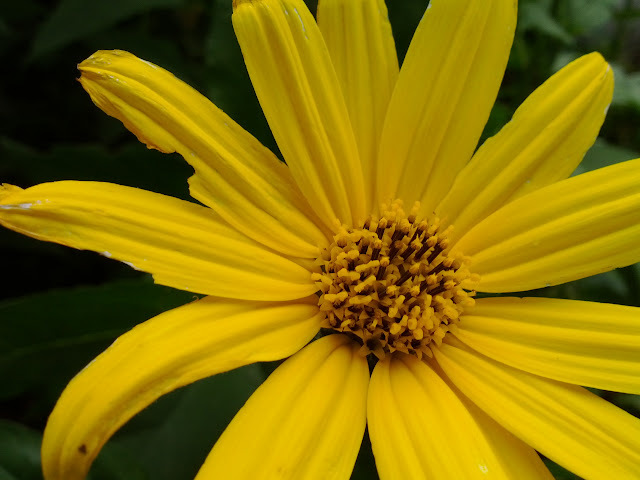 Tags: Jerusalem artichoke, Perennial, Perennial plant, Ultimate. Bookmark the permalink. I have 4 kinds of sun chokes,Pink Crispy & Stampede being two. 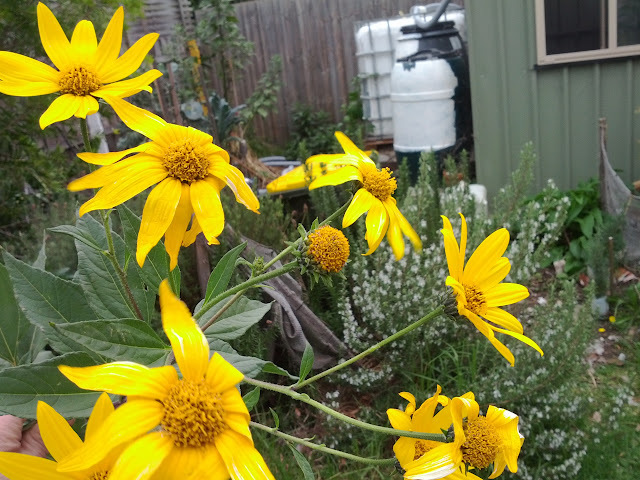 Asparagus, rhubarb,garlic & onions, cardoon, lovage,Rosemary,crosnes or Chinese artichoke & Poke weed are perennials, too. Onions & garlic do not have to be lifted or harvest every year, lovage & Rosemary are herbs also. Peppers & tomatoes are perennials in frost free zones. 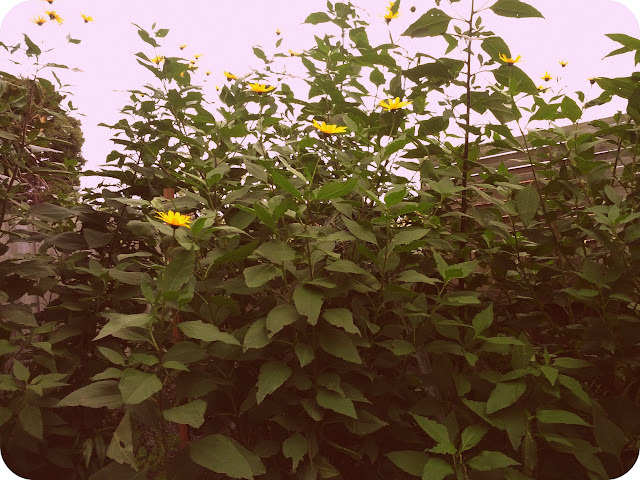 I have the Jerusalem artichoke or sun choke, the Flower with vegetables, because it is nice plant, that is good to eat. Wow what a collection! I’m growing garlic right now and am really interested about the garlic you have there. What happens if you just leave it in the ground? Does the bulb rot after a while and then replaced by another? Please share your knowledge.